DIY dvd - make your own pool. Have a look at my facebook/organicpools page for tropical examples in Argentina and Australia. A: There are a few Natural Swimming Pools in hot climates so experience is pretty limited. Here are my thoughts to reduce the effects of the heat. 1. 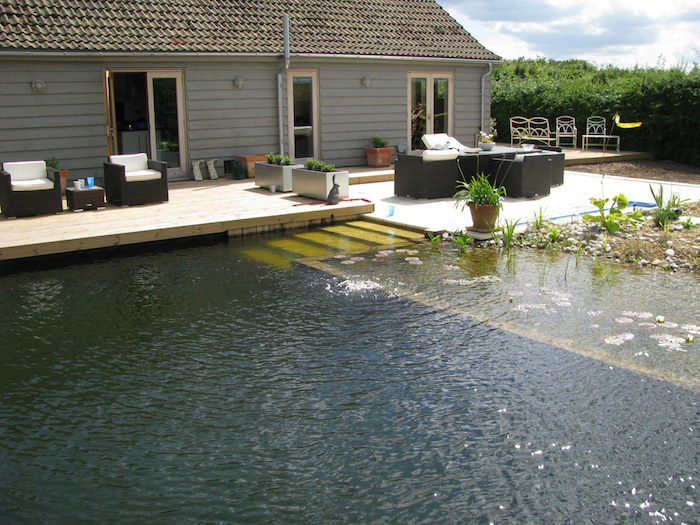 Obviously, do not insulate the pool from the ground - as I have done for pools in UK climate. 2. Keep the water deep. Have the swimming zone at least 2.5m deep. Have most of the planted zone 1 or 1.5 metre deep. 3. Provide areas of shade for the pool: canopies, pergolas etc. Plant plenty of floating leave plants in the planted zone. 5. Reduce the effects of evaporation. Shelter the pool from wind with fences, walls, etc. 6. Reflect as much sunlight as possible to reduce solar heating in the pool. Have a lighter coloured pool liner, say pale green or tile the floor with light coloured stone. Will the pool be full of Mosquitoes? No. The water hosts a diverse ecology, which includes fauna that predates on mosquitoes. Mosquito larvae have nowhere to hide. Dragonfly larvae, Water Boatmen, Diving Beetle larvae eat the submerged mosquito larvae, while Pond Skaters and Whirligig beetles scoot over the water surface to devour emerging mosquito larvae from above. (Interestingly, a study of a bio-diverse, naturally occurring pond on a Caribbean island showed it contained no mosquito larvae.) Also, mosquito larvae prefer still water. Water in a Natural Pool is gently circulated. What about human pathogens in the water? This information is drawn from experience in Europe. The water holds a diverse ecosystem teeming with freshwater microorganisms constantly filtering the water for other microorganisms, including human pathogens, which have the misfortune to plop into the pool. Over the last 20 years, many thousands of these pools have been constructed in Germany, Austria, France, Switzerland, UK, Australia, USA. There have been no reported health issues with these pools. 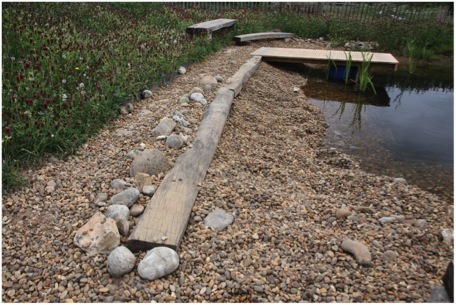 As the concept is proving to be of interest around the world, the design of a natural pool will undoubtedly need adapting to local conditions. There may be situations where a pool of any sort is not appropriate, for example, if your environment has a prevalence for water borne disease or other hazards. You will need to take local advice. I get questions about this pathogen. There are some environments where any pool may not be suitable. You will need to seek local advice on this. "How does the risk of Naegleria fowleri infection compare with other water-related risks? The risk of Naegleria fowleri infection is very low. There have been 34 reported infections in the U.S. in the 10 years from 2004 to 2013, despite millions of recreational water exposures each year. By comparison, in the ten years from 2001 to 2010, there were more than 34,000 drowning deaths in the U.S."
How much does a Natural Pool cost? A commercially installed pool may cost GBP 700 per square metre. Organic Pools bubble system with DIY installation could cost as low as GBP 70 per square metre. Q. 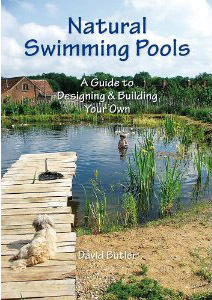 Your organic pool manual looks like it full of very good design and advice for the type of pond/pool I'm interested in building. However, my major concern is that your design is suited to the climate in Great Britain and maybe not the climate where I live. I live in south-central Wisconsin, USA, where the winters are very cold and the ice on the local lakes gets to be 30cm or more every winter. I would expect any pond I build to be iced over from November through April, freezing to a similar depth. Does your manual cover design differences needed for such a cold climate? A. The manual doesn't specifically deal with harsh winters but the pool design is pretty immune to freezing. There is no shallow pipework or wall to be vulnerable to ice. These pools work well in mainland Europe where they have a similar climate. Q. Do you see a problem with the pool freezing over in winter? I live in Canada where the average winter temperature is -13C. I wonder if the plants will survive and if the the pool will resist. Maybe Austria is similar and you have explored the problem before? A. 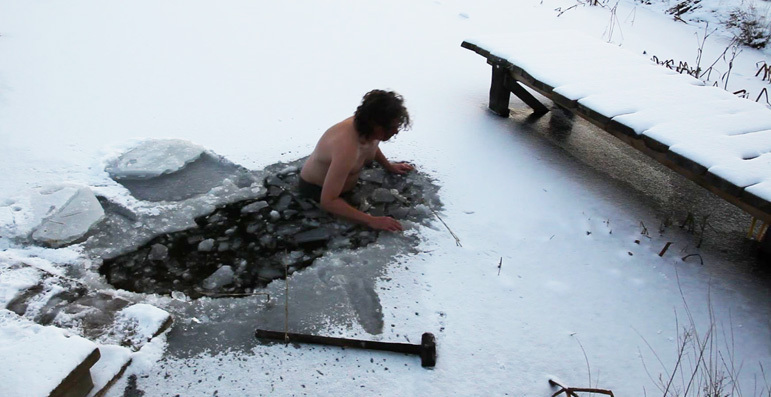 There is no problem with the pool freezing over. The local aquatic flora and fauna will be adapted to cope with the conditions. Q. What to do with them when they fall in the pool. I have many trees on my propriety and I am afraid the pool would get choked in leaves, thus decomposing matter. A. The pool can cope with some leaves in the pool, but if excessive they will rot down and add too many nutrients to the pool. A net can be strung over the pool in the autumn to catch the leaves. Q. Will these pools work in the tropics? Are mosquitoes a problem? A. Here in Europe, working natural swimming pools generally do not have a problem with mosquitoes. Mosquitoes do not like circulating water and are naturally predated by newts, dragonfly larvae etc. I have no experience of pools in the tropics but I have read research on natural ponds in the Caribbean which found no mosquitoes due to the natural populations of their predators in the water. 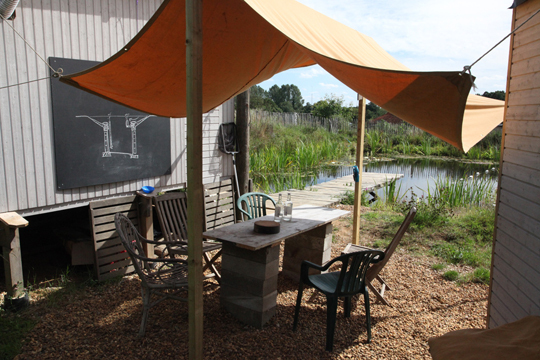 I would take advice from a local ecologist and see visit an unpolluted, naturally occurring pond. Have a look at mt facebook/organicpools page for tropical examples in Argentina and Australia. Q. I guess my real question is, have you ever known anyone to have a snake in their natural pool. Someone suggested they might not be interested because of lack of food. Your thoughts? Thanks a lot. A. Undoubtedly they have been in natural swimming pools. (I believe the same is true of standard outdoor pools). Of course many snakes are harmless and are very welcome wildlife, grass snakes for example. I have seen a viper in a public outdoor swimming lake in France. My 7 year old son even picked it out of the water, much to our alarm! However, I have not heard of anyone being bitten by a snake in a natural swimming pool (or a standard pool). Q. I have a source of well water which contains iron but otherwise clear. I am not sure of the water quality do you think it will be OK? I am glad you find the book helpful. I would guess that your well water should be fine. If any problems should arise, then just tackle them as they happen. I imagine the iron will just mean the water is coloured, but the ecology should adjust to the water conditions. You may just find the water quality is perfectly acceptable, if so great. Sorry I have got no clear cut answer to this, other than at worse, you will end up with a pond for wildlife - which is no bad thing. Q. Just wondering if you had any thoughts on setting up an existing pool with a separate pond. With regard to circulating pumps. Would you still use the aerator pump in the growing area then a pump to circulate water back to the main pool? A. Yes, that would work. Or have the bubble pump in the deeper swimming pool, pumping into the external planted pool. The overflow from the planted pool runs back into the swimming pool - this will be less critical on water levels. COST OF A BIG POOL. Q. We have an unusually large back yard considering we live in the suburbs/city limits. I keep reading that the size of the pool/pond is not an issue. For me, it's going to be more of a cost issue. I need to know about how much money I need to start putting back to start this massive project. The size pool we want is a swimming area of 10m x 20m, with a depth ranging from 3ft to at least 10ft (roughly 1m x 3m I think). My daughter is a swimmer and asked for a lap lane on the side of the pool. The boys want a "diving well." That's part of the reasons for the size and depth. 1. Any idea on the estimated cost to build this giant hole? 2. Do you make a kit this big? cost? 3. What would the minimal size of the regeneration zone need to be? 4. When is the best time of year to start the project? We would appreciate any feed back or general information you can provide. Thank you. A. The greatest cost would be digging the hole and building the walls. I would consult a local ground works company to get a price. As for the the kit, size is not an issue. You just need a circulation system to match the water volume. The size of the regeneration zone should be equal to the swimming, but can be reduced by more filtration equipment. Best time to start a project - if it's not snowing or raining, today. Which plant substrate to use? I used the subsoil from the pond dig, but some subsoils may contain too many nutrients. The most predictable substrate to use is a 50:50 mix of washed gravel and coarse sand (sharp sand). After using the plunge pool for a while I realised the edge on the beach side of the pool was not stable enough for the amount of trampling it was undergoing. I had some concrete blocks, which would make a simple path around that edge. I pulled out the pieces of insulation board I had used previously and dug a trench 12 inches wide 8 inches deep and around that edge. The bottom of the trench was stable subsoil so I did not need to go any further down. Then, I partially filled the trench with 4 inches of sand and gravel and tamped it down to make a smooth bed. I simply placed the 4 by 10 inch thick blocks face down, in a line along this bed, resting them up against the layers of liner (underliner/liner/overliner) so as to keep the layers vertical at the edge. On the back side of the blocks, the space was filled with shingle to drain away water run-off from the surrounding grassy area. I also used some six-inch wide brick laying Damp Proof Course (DPC) membrane to keep the topsoil out of the shingle drain. Once all the blocks were laid, I brushed the whole path with sand. To make the edge even more robust I mixed up some reasonably stiff concrete, (1 cement, 2 sand and 3 aggregate with not much water), cleared the gravel on the inside edge of the pool, and shovelled the concrete in its place. This made a haunch, keeping the liner layers firmly sandwiched together and vertical at the edge. 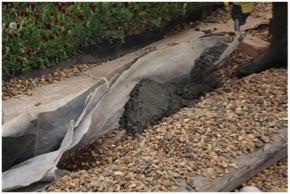 Just to recap, the (underliner/liner/overliner) needs to be vertical so the possibility of capillary action across the membranes is minimised. Trimming the pool liner with a knife. Shingle covers the concrete blocks and haunching so it appears more beach-like.